[편집자 주] Original article in English is below. 탄야 닐슨 에디터가 쓴 영어 원문은 번역본 아래 있습니다. 덴마크 문화를 조금이라도 아는 사람이라면 알 거다. ‘마녀’ 태우는 날이 다가온다는 사실을. 물론 덴마크인은 더이상 사람을 불태우지 않는다. 이 오래된 전통은 다소 끔찍한 역사에서 시작했지만 이제는 어린이부터 노인까지 모든 이를 아우르는 무엇인가로 거듭났다. 예수의 생일인 성탄절(Christmas)을 기념하듯, 유럽에 많은 기독교 신자가 성 요한(John the Baptists)의 생일인 6월24일을 기념한다. 성탄절보다 정확히 6개월 먼저다. 모든 전통이 그렇듯 성 요한 탄생일 역시 세월의 흐름 속에 달라졌다. 그대로인 점은 날짜뿐이다. 북유럽은 늘상 그렇듯 축일 전날 밤을 기념한다. 왜냐고? 확실하지는 않지만 덴마크인으로서 생각해보면 새 날을 파티로 시작하고 싶기 때문이라고 답하겠다. 물론 우리는 진정한 바이킹답게 술을 퍼마시지. 호랑이 담배 피던 시절 덴마크인은 다른 사람을 무척 두려워했다. 자연을 잘 이용하는 사람이나 사제들까지도 말이다. 덴마크인은 이런 사람을 마녀로 고발했다. 이들은 고문당했다. 진짜 마녀인지 아니면 평범한 사람인지 확인해야 한다는 이유였다. 시험을 빙자한 고문에 통과하지 못한 이는 모닥불 위에서 산채로 화장 당했다. 흥미로운 점은 어떤 ‘마녀’도 성 요한 탄생일 전날 밤에 화형 당한 적이 없다는 사실이다. 마녀와 성 요한 사이 유일한 연결고리는 전설이다. 그 전설에 따르면 마녀와 마법사가 성 요한 탄생일 전날 밤에 회의를 열었다고 한다. 그래서 어째서 가짜 마녀를 불태우냐고? 이건 독일에서 건너 온 전통이다. 불로 마녀를 겁 줘 쫓아내고 그들이 독일 브록스베르크(Blocksbjerg)로 안전하게 돌아가길 기원하는 것이다. 오늘날에도 마녀 화형식은 덴마크인에게 중요한 전통이다. 부활절이나 성탄절만큼이나 중시한다. 심지어 탁아소에서도 아침에 마녀화형식을 치른다. 어린이를 모닥불을 빙 둘러 모으고 노래를 부른다. 때로는 아이들이 먹을 음식을 마련하기도 한다. 학교에 갈 나이가 되면 저녁에 가족과 이 날을 기념한다. 코펜하겐에 있다면 이 날 밤을 기념하는 장소를 시내 곳곳에서 마주할 것이다. 티볼리(Tivoli)나 아마가보 해변(Amagerbro strand) 같은 곳에 모닥불을 피운다. 불을 붙이기 전에는 유명 인사가 무대에 오른다. 보통 정치인이다. 무대 발언을 마친 뒤에 모닥불에 불을 댕기는 동안 인파들이 미드소머비센(Midsommervisen)이라는 전통 노래를 부른다. 어린 아이들이 아버지 어깨에 기대 잠든 모습도 곳곳에 보인다. 청년들은 파티를 열고 술 마시는 방법을 배운다. 아직도 서로 깊이 사랑하는 노년 커플도 있다. 마녀화형식은 크고 작은 거의 모든 도시에서 열린다. 우리 가족처럼 교외에 사는 사람들도 있다. 도시 밖에 사는 이들은 각자 모닥불을 피우고 파티를 연다. 이날 불쏘시개로 쓰려도 1년 내내 정원에서 나오는 쓰레기를 모아두는 사람도 있다. 몇몇 사람, 특히 아이가 있는 가족은 마녀를 만들어 모닥불 위에 세우기도 한다. 많은 덴마크인이 이 명절의 원래 의미를 모르지만, 성 요한 탄생일은 여전히 나이를 막론하고 모든 덴마크인이 매년 손꼽아 기다리는 날이다. 가족 친지와 즐거운 밤을 보내는 날이기 때문이다. 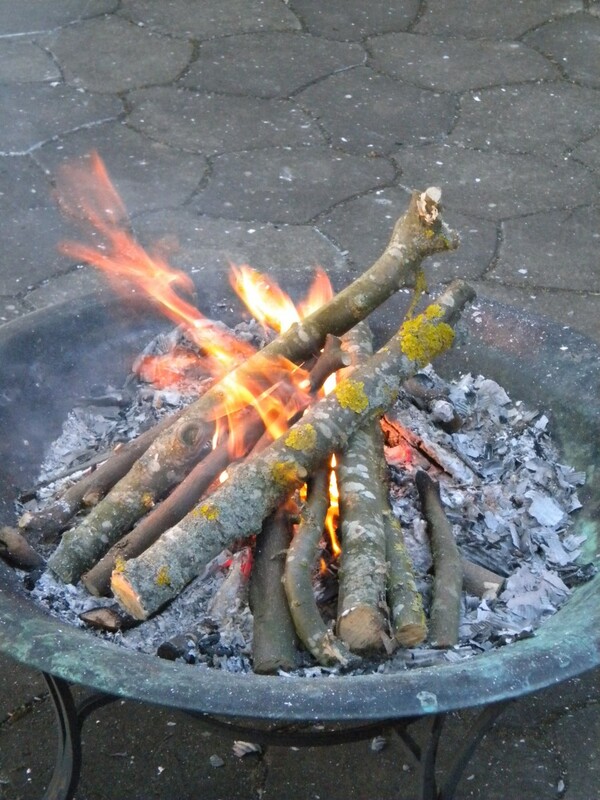 If you know anything about the Danish culture you will know that we are getting close to the one day a year where we are burning a ‘witch’. Of course, we don’t use people anymore. This is an old tradition that started as something that’s a bit terrible and is now something that connects all sorts of people from the youngest to the oldest. Just like the celebration of Jesus birth – Christmas, a lot of the Christian people throughout Europe started to celebrate John the Baptists birthday which is supposed to be on June 24th exactly 6 months before Jesus Christ. But just like every other tradition things change over the years. The only thing that’s the same is the date. However on the North, we always celebrate holidays like that the night before. Why? That is a bit unclear but when you think like a Dane we would say that we want to start the new day as a party. So, of course, we will be drunk like true Vikings. A long long time ago the Danish people were very scared of people that were different from us. People who knew who to use the nature for our own good or even magi. They would be accused of being a witch. After that they would go through torture to see if they are human or a witch. If you didn´t pass the test you would be burned on a bonfire. Now the funny part is that no “witch” was ever burned on this night. 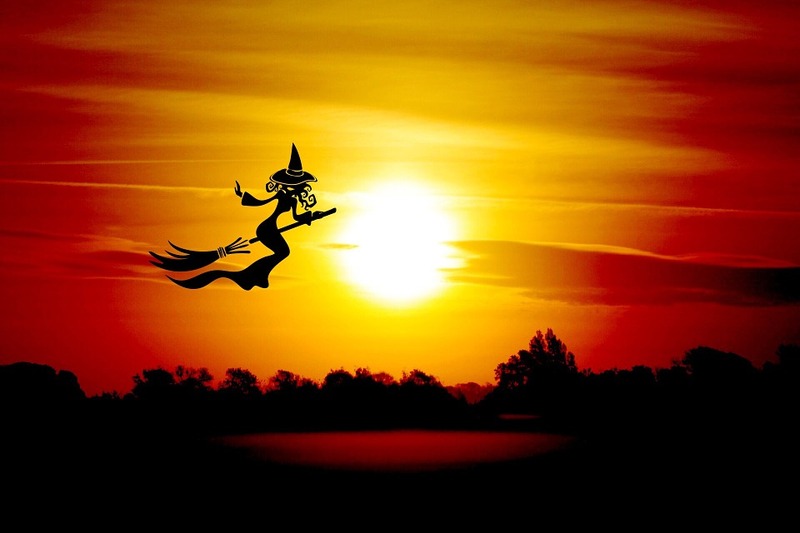 The only connection there is between witches and Sankt Hans is according to the myth the witches and wizard would have their meeting on this night. So how do we still burn a fake witch on this evening? Well, this tradition is supposed to be from Germany. So, in the end, it’s all about scaring away the witch with the fire while you wish them a safe journey to Bloksbjerg in Germany. Today it’s a very important tradition for all of us. This is just as important to us like Easter and Christmas. You will find that we even celebrate during the morning in the daycare institutions. We gather all the kids around the fire, sing songs and some places make some food for the kids as well before going back to the institutions. Once you start school you will celebrate it with our family during the evening. When you are in Copenhagen there’s a lot of different places where there’re public arrangements to celebrate this evening like Tivoli and Amagerbro strand(beach). There will be a public person making a speech, usually a politician. 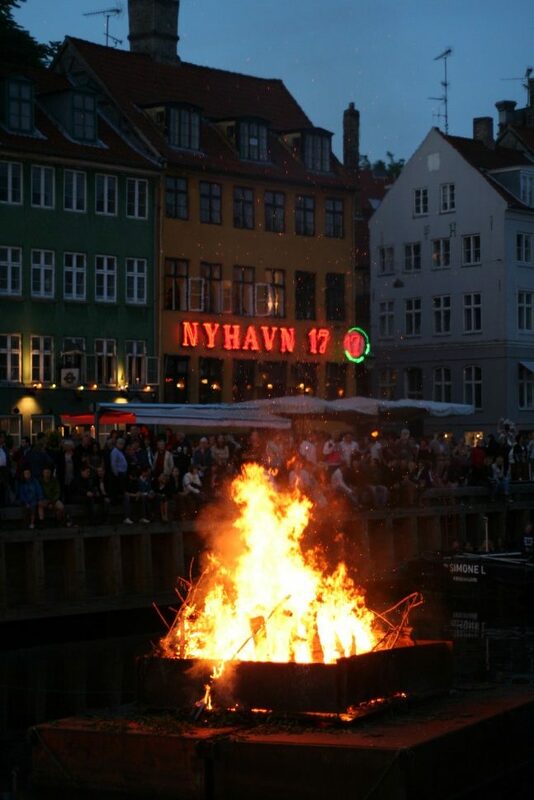 After the speech, people or most people will sing a song called Midsommervisen while the bonfire is being ignited. You will see families with small kids falling asleep on their fathers’ shoulder, young people who are just learning how to party and drink and that old couple that is still very much in love with each other. This is how it is in pretty much every city big or small. Then there are people like my own family that lives in the country sides. They will make their own bonfire/party. Some people save all the garbage from their garden the whole year so they can use it for the fire. Some people and especially people with kids will also make their own witch to be burned in the fire. Even though most of us don’t know the exact reason for this holiday it’s still a holiday we look forward to every year no matter how old we become. It’s a night to spend with family and friends.